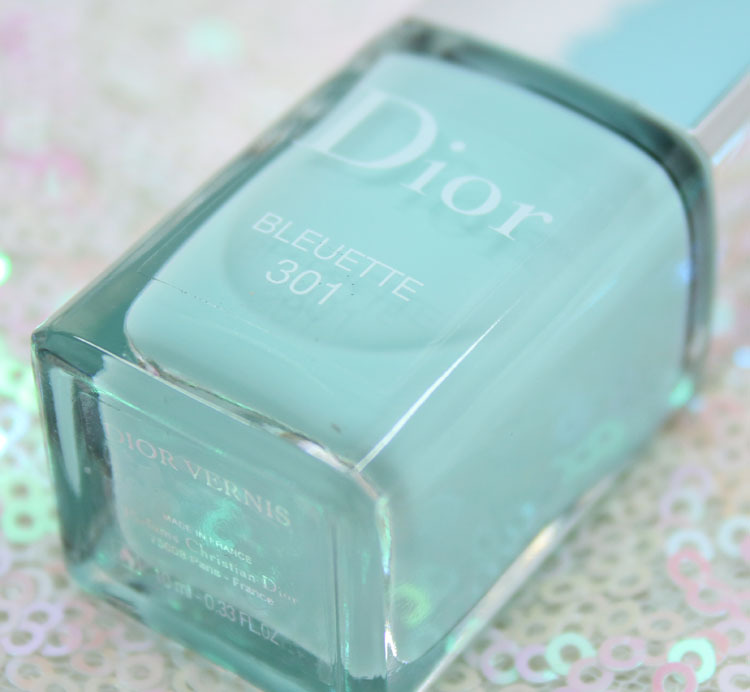 Dior Vernis Bleuette is one of the new nail shades in their spring 2016 line and I recently picked it up at Nordstrom. This is one of those colors that you KNOW I cannot pass up. If you have been following me on Instagram, you know I have an obsession with blue lately. 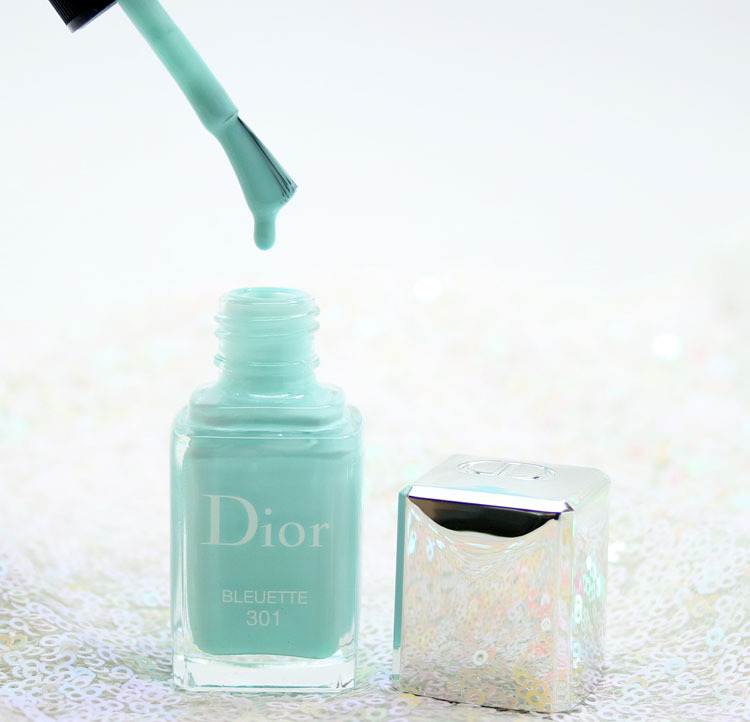 Baby blue, Tiffany blue, cobalt blue…hell ANY blue is fine with me most of the time! I am quite sure I have other nail shades this color, however I still felt the need to possess yet another one. 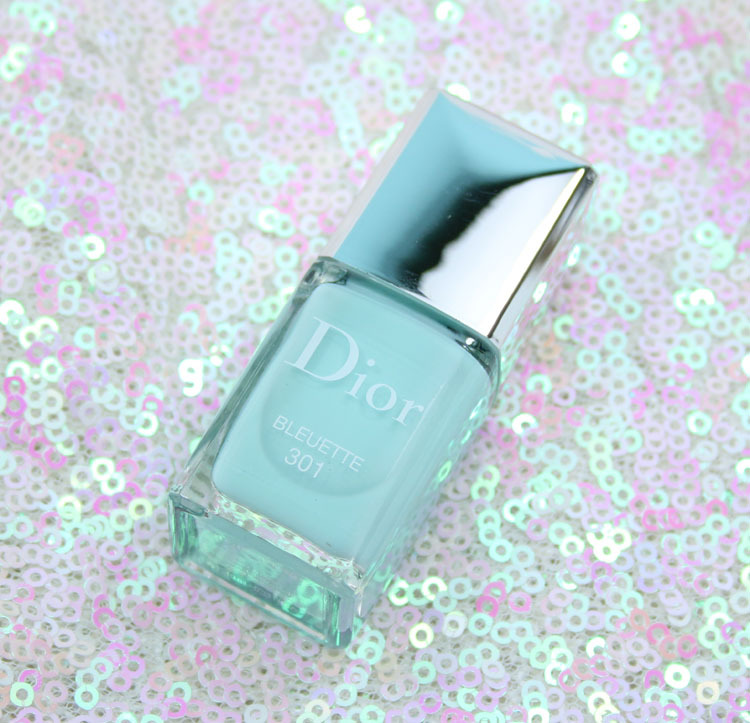 Bleuette is a pale baby blue creme. It’s a very whitened blue, like a very pale sky color. In the photo it does look like there is some super subtle shimmer in there but it’s really not visible to the naked eye. I thought for sure this was going to take a good four coats because it looks on the sheer side. I swatched it over a ridge-filling base coat (by Deborah Lippmann) and it only needed two coats! That is a definite bonus! Even though it was pricey I still love it and have zero regrets about buying it. And speaking of similar shades earlier, I think OPI Gelato On My Mind is close as is Zoya Lillian, but neither are exact dupes. This one has a lighter more sheer feel to it, even though it’s full-coverage. You can find this at Nordstrom, Bergdorf Goodman and Selfridges and it’s $27.00 for 0.33 oz. 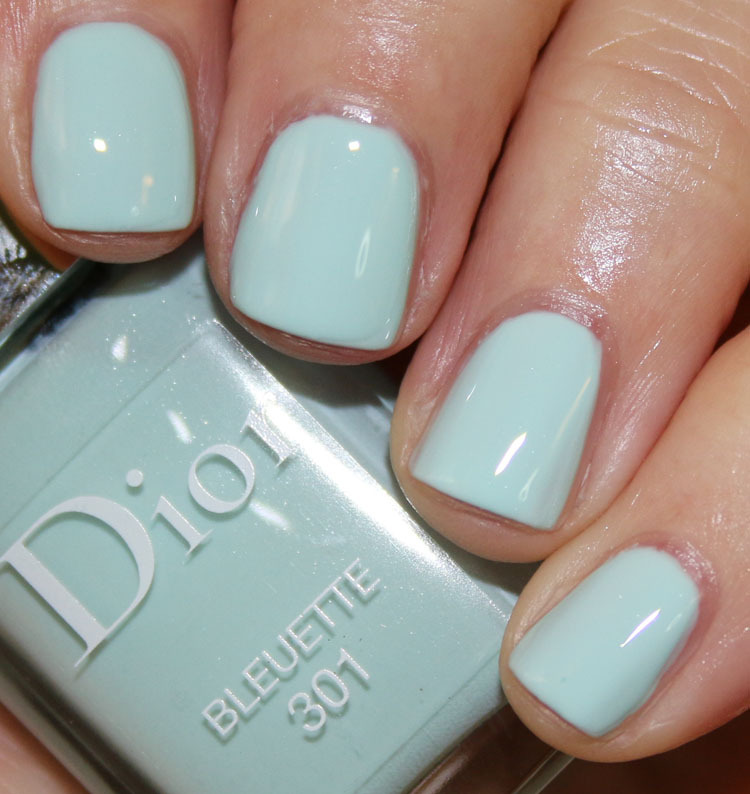 Is this a shade you would fork over your hard-earned cash for? I love this sort of blue. Looks so jelly too. That is a gorgeous shade of blue. Nice that it doesn’t look streaky. I love that shade, it’s like almost robins egg but not. Really the polish is Gorgeous! And $27 isn’t too bad as long as the formula is good and you love the color. It looks a lot like Chanel Riva. Is it similar? Better formula? This is less blue and more of a washed out sky blue/white-ish color. Riva has blue shimmer also, which is more obvious as this looks basically like a creme. I *think* Riva is three coats and this was two, so this one covered better! I love that shade on you. So pretty!